Go To Battle In Three Elements On Battlesuits Featuring Alien Technology, April Fool's Day 2019!! 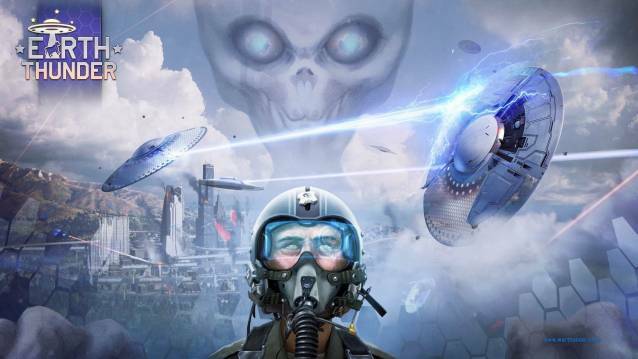 Gaijin Entertainment invites everyone to take part in EARTH THUNDER, an intergalactic tournament about to begin right now. The tournament sees talented cyber-athletes from all corners of the universe take control over one of the galaxy’s less advanced civilizations, forcing them to man the Universal Fighting Orbiter and to fight until death for the galaxy’s amusement. For the next stage of the tournament, its alien organizers have chosen Earth - and from April 1 until April 5, the flooded city of Green Hills will turn unto the fiercest battlefield of human history. 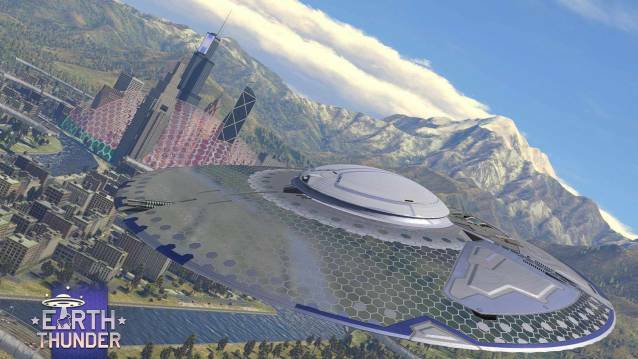 •	When in the air, the UFO sports excellent maneuverability and is able to reach speeds of up to 800 km/h. 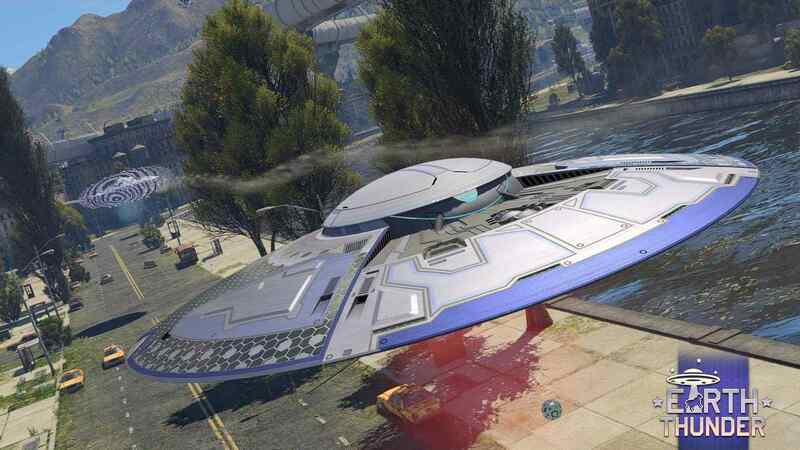 Equipped with a high-powered laser beam emitter it can melt enemy UFOs in seconds - but the nature of this armament will require you to stay on target for several seconds. 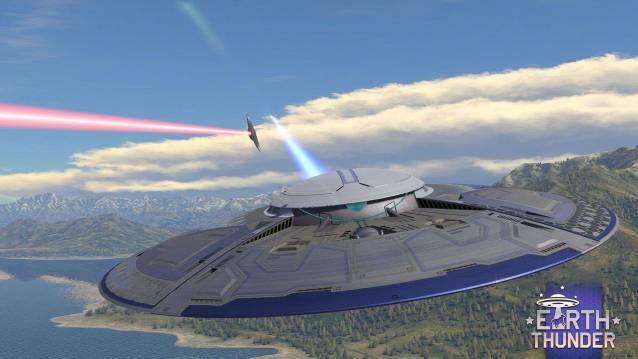 Due to the UFO’s lack of a protective shield when flying, evasive maneuvers are your best bet at staying alive if under attack. •	When hovering over the Earth’s surface, your UFO’s speed is reduced significantly, but surplus energy not consumed by the engines is now used to power a protective shield generator. Now, the UFO can move in any direction and over any surface and reveals its most powerful weapon: A railgun other variants keep hidden inside the hull. 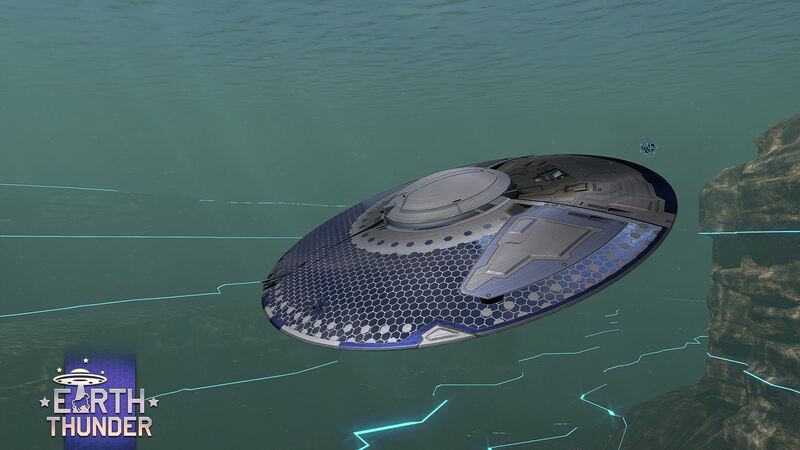 •	When diving, most of your UFO’s energy is required to protect against water pressure, so neither the Orbiter’s laser nor protective shields are available. To attack underwater, you can launch controllable torpedoes at enemy UFO’s and use a shotgun-like blaster to defend yourself in close proximity combat and to intercept any incoming ordnance. To win a match in EARTH THUNDER, a team needs to destroy all enemy UFOs or capture and maintain control over checkpoints in the air, on land and below the sea. If you want to participate, you better hurry - the number of available pilots is limited by the remaining population of Green Hills!